We took the metro then the Maglev train to airport, the Maglev is unreal, 300 kph, no wheels, banked track, really smooth. Flew to Hong Kong, and booked into the Empire Hotel in Causeway Bay on Hong Kong Island for 3 nights. Walked around Hong Kong, checked out all the tourist spots, including Victoria Peak. 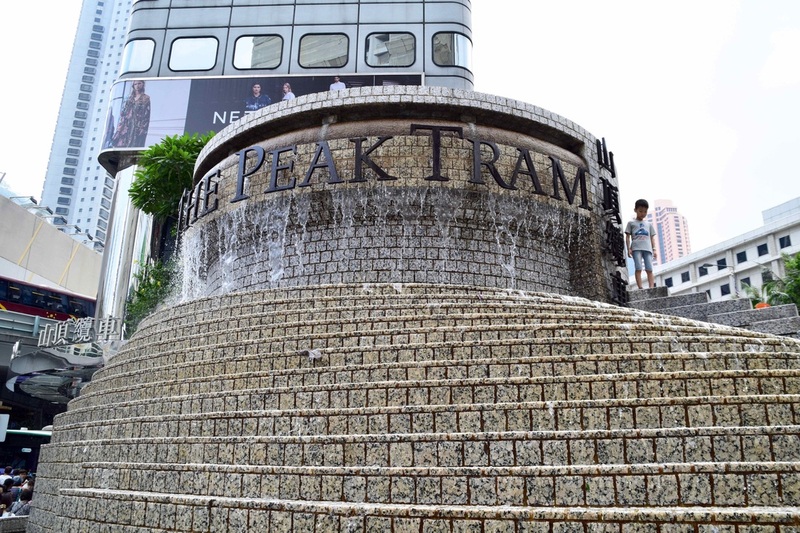 We ended up getting a bus back down from the peak, as crowds were waiting 1 hour for the tram. It didn't take long to get used to the subway system, it works well. 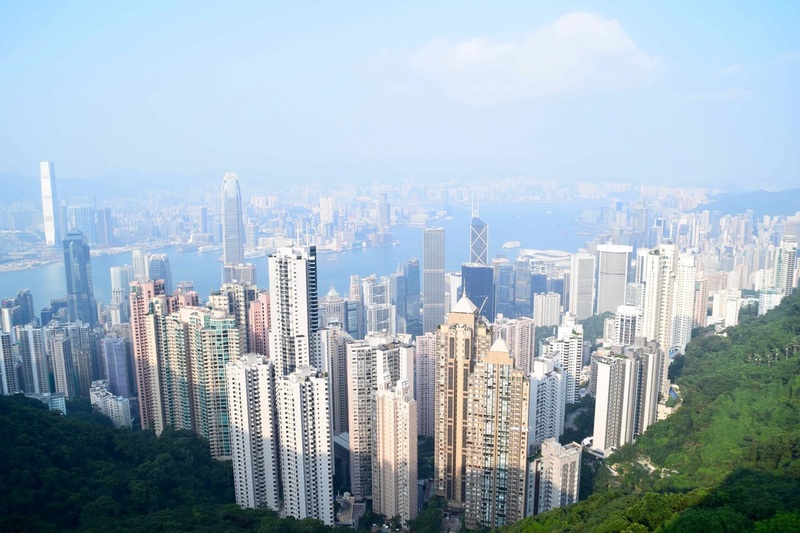 We liked Hong Kong, it is Chinese, but with a strong British twist, and most people speak english, which is a real bonus. 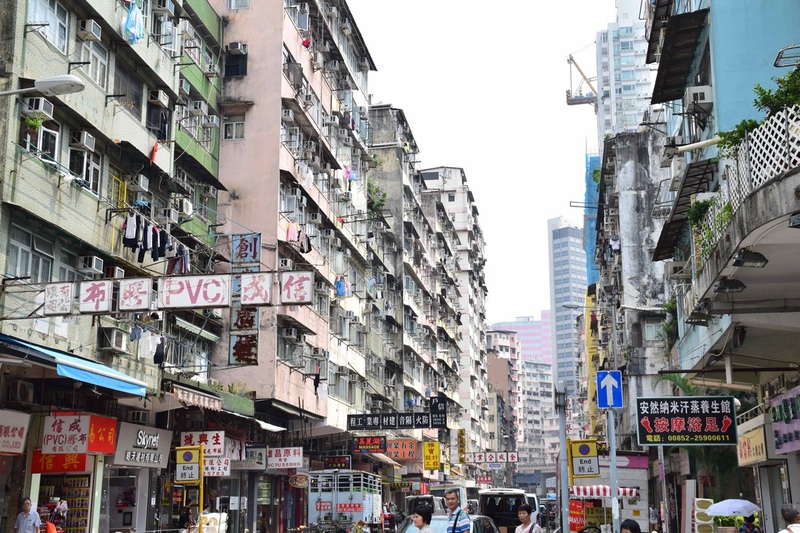 Street scene in Kowloon, it's always busy! We stayed in the Empire Hotel, service was excellent. 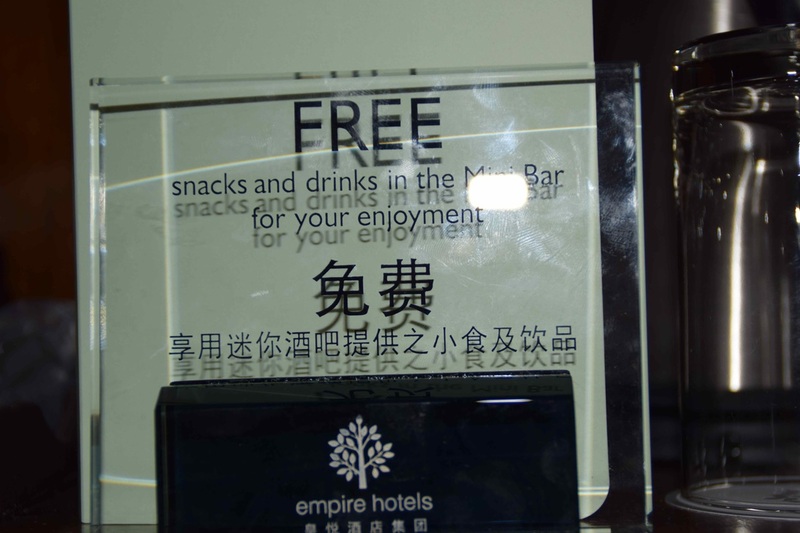 It is not often you see this in hotels, the mini bar was free, including beer and snacks, and there was free finger food, wine and beer upstairs in the roof top bar every night for guests. Highly recommend it! Our stay in Hong Kong was short, as we were committed to a Workaway position in Hawaii, but I think we saw most things we wanted to. It used to be fairly expensive there, but now it is not so bad, similar to mainland China. It was a good stop, but we were both looking forward to the USA, and food we were missing.